The social sciences have seen shocks in the past few years by the appearance of abundant and controversial literature-oriented enter in the reflection of these disciplines, the progress of scientific knowledge-natural. Particularly difficult it is to accommodate the models offered by the Sociology, Economics, or Cultural Anthropology to the progress made by the life sciences in the understanding of the condition of bio-psycho-social man. This essay is an interesting and original contribution to this task. 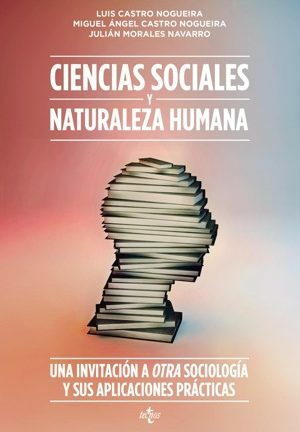 This work is committed to a heuristic naturalist whose roots lie in the work of R. Boyd and P. Richerson, as well as in the proposals of the Psychology Evolutionist, but especially with the learning model assessor proposed by Laureano Castro and Miguel A. Toro. In this sense, is in continuity with his previous works such as Methodology of the social sciences. An introduction to criticism (Tecnos, 2005) and Who’s afraid of human nature? Homo suadens and wellness culture: Evolutionary Biology, Metaphysics and social sciences (Tecnos, 2008). Throughout the work, divided into two parts, the reader will find an invitation to Another Sociology interrogated and transformed by the heuristic naturalist. In the first part, we run through some of the common places of sociological theory to show the failures of the discourse is sociological in regard to the forgetfulness of human nature and a poor understanding of our social nature. In the second part, through six specific areas of applied social research with the purpose of showing the practical limits of the standard model when dealing with the interpretation of the social reality empirical. 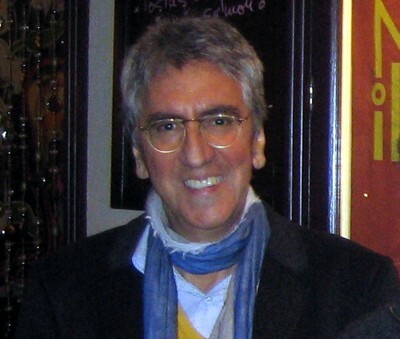 Luis Castro Nogueira holds a Phd in Philosophy from the Autonomous University of Madrid (1979-1981). Master of Arts by the Birkbeck College of the University of London (1991-1994). Professor of Philosophy and Methodology of the Social Sciences (2001) Faculty of CC Policy and Sociology (UNED), Department of Sociology, I. Luis Castro Nogueira made his doctoral thesis on the Frankfurt School (1981). 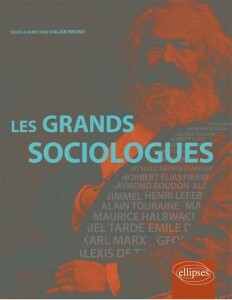 Since then, it has developed a work focused on the investigation of the space-time social, complementary with the exploration of the main topics in the field of the philosophy of the Social Sciences. From a decade ago (without leaving the previous subject-matter) has focused its research -from the perspective of a naturalist-in the social sciences and human nature around the paradigm of the homo suadens. On the naturalism of homo suadens can be found on the web Cisolog. The fruit of this work up to now -in addition to various essays and papers in national and international congresses-are the following books: dress Rehearsal for a ballet anarchist (in collaboration with MH Ossorno), Madrid, Libertarias, 1986; modern Times, Granada, General, 1991; the laughter of The space. The imaginary space-time in contemporary: a reflection of sociological, Madrid, Tecnos, 1997; Methodology of the Social Sciences (in collaboration with MA Castro Nogueira and J Morales Navarro), Madrid, Tecnos, 2005. Who’s afraid of human nature? Homo Suadens and well-being in the culture (in collaboration with Laureano and Miguel Ángel Castro Nogueira), Tecnos, Madrid, 2008, social Science, and human nature (with MA Castro and J Morales), Tecnos, 2013. He has participated, among others, in the books collective: Collective Imagination: Limits and Beyond, with the intervention of F. Jameson, J. Urry, S. B-Morss, W. Mignolo, M. J. Shapiro and others, co-ordinated by C. Mendes and E. Larreta, Rio de Janeiro, UNESCO (Senior Board of the International Social Science Council) and Institute of Cultural Pluralism (Candido Mendes University), 2001. The Posterité of ” l’école Frankfurt, with the essay “Laccueil de L` École in Frankfurt Espagne”, with the intervention of A. Blanc, J.-M. Vincent, P. V. Zima, H. among others, Paris, Éditions Syllepse, 2004. Some of his recent essays are Bubbles, globes, wrappings, etc and plektopoi…. (Society and Space, 2010), and Cultural transmission and social control of human behavior (Biology and Philosophy, 2011). About Who’s afraid of human nature? the criticism has been said (see reviews below): Excellent book that has no waste…complex and joyful, like a symphony of Mahler (C Castrodeza); huge, great work, masterful, daring (PC Moya);the more detailed introduction to the subject of the naturalist available in Spanish (ER Zugasti); magnificent archaeology of the standard model in the social sciences and one of the most evocative appered in Spain in the last years in the field of the humanities and social sciences (EC Pasín); work hard and magnificent as the book of sand borgiano (WILL Alonso); a genuine work and, since then, unique in the intellectual landscape of our country, in the best tradition of philosophical thought of reinterpreted continuously (To Moya); the book should be read even by the most skeptical about the possible interest of a naturalist program for the social sciences. 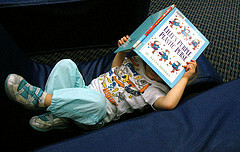 The authors offer an original thesis, uninhibited, reasonable, and open to empirical testing (J Mundó). To know more about Luis Castro Nogueria visit your portal at the UNED.